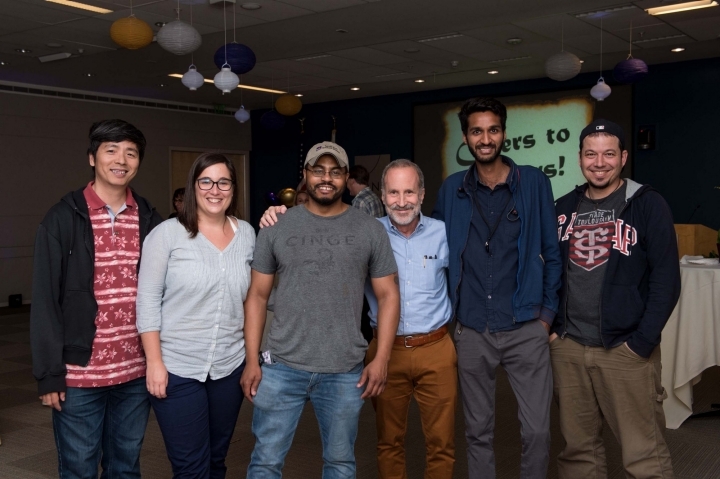 After 33 years at RAND, Jeffrey Wasserman (cohort '85) retired this fall — complete with a grand party. 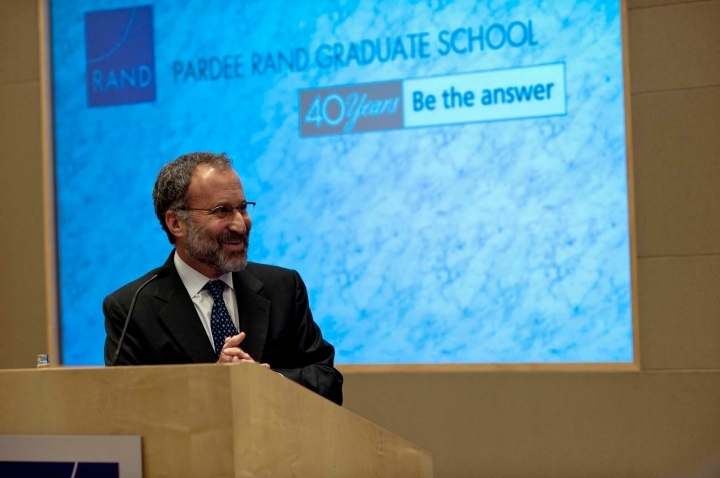 But, in true RAND fashion, he remains an adjunct staff member and of course is still here at Pardee RAND. 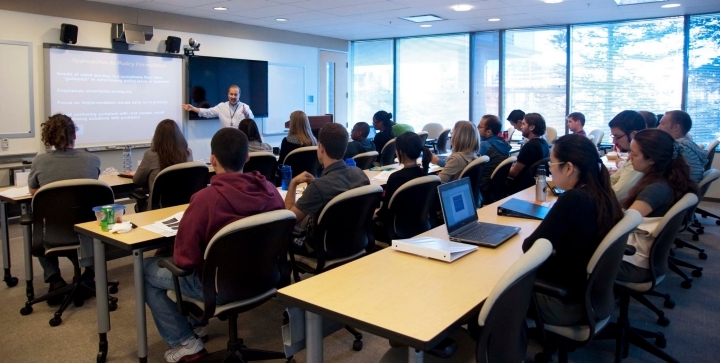 In his 13 years on the Pardee RAND faculty, Jeffrey has taught 18 classes with more than 250 students. 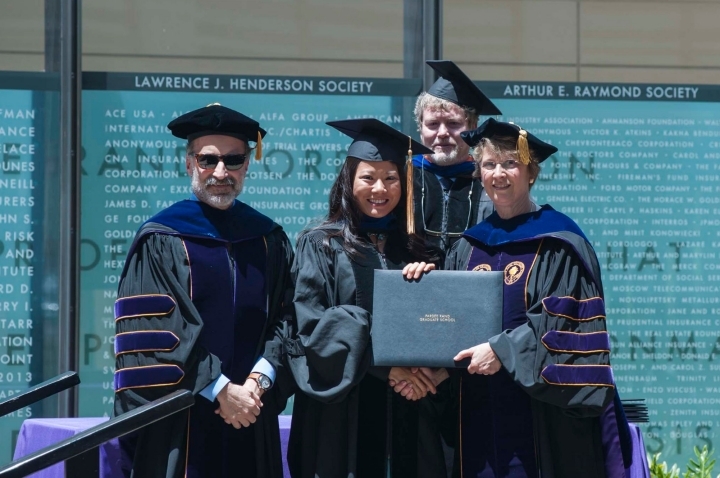 He chaired two dissertation committees — those of Helen Wu (cohort '07) and Daniel Waxman ('10) — and served on four other committees, for Brian Dille ('07), Jodi Liu ('12), Mike Scarpati ('10), and Yang Lu ('04). And he was Pardee RAND's assistant dean for academic affairs from 2010 to 2013. 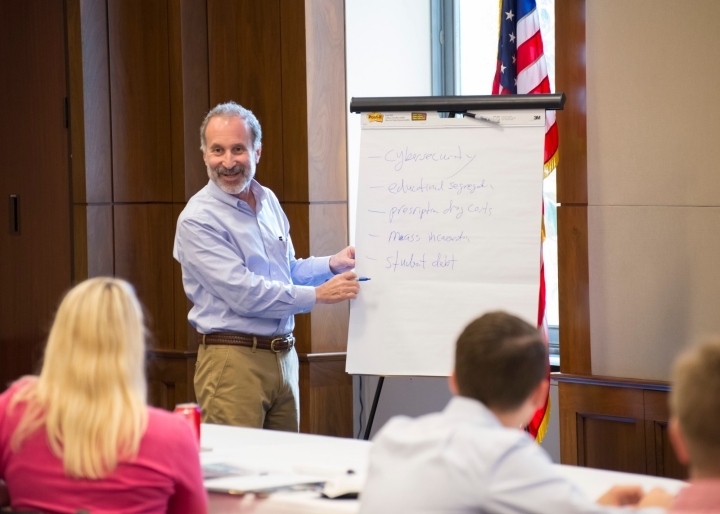 He has also made a difference on Capitol Hill; since 2010, he regularly offered policy analysis short courses, which nearly 200 congressional staffers have attended. 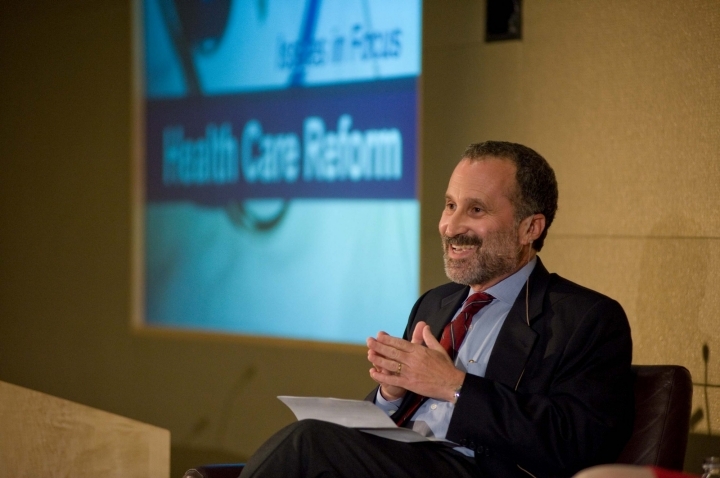 Jeffrey also served as Pardee RAND's Brown Faculty Chair earlier this quarter, working closely with students and holding seminars on topics near and dear to his heart, including "People Skills for Policy Analysts" and "Health Policy Problems that Should Keep You Up at Night." 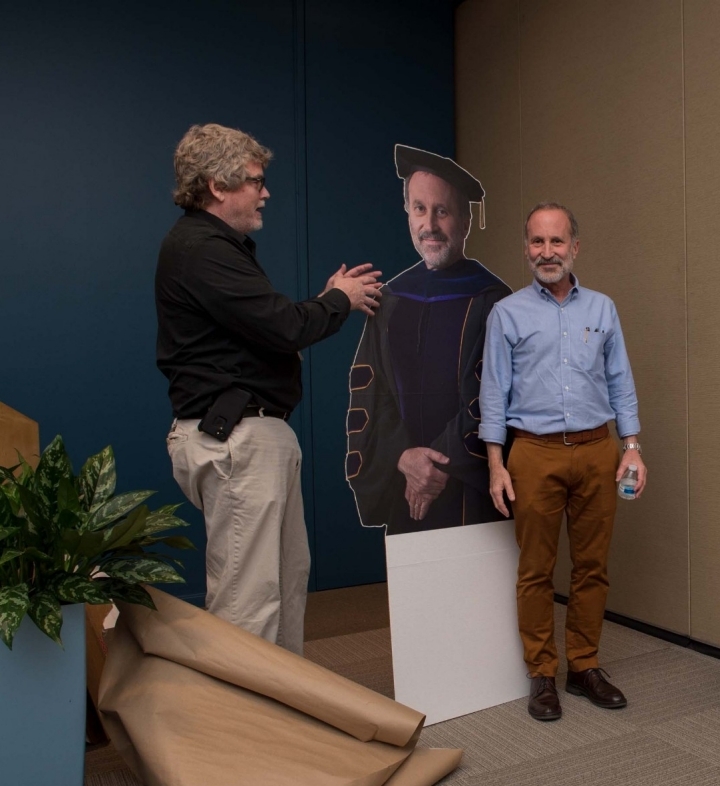 At his retirement party, Dean Susan Marquis commented, "Jeffrey understands the school, he understands the students, he understands RAND and our mission. He gets it. He knows why the world needs us, why the world needs our students, why the world needs RAND. He embodies every characteristic of RAND — his leadership, his mentoring of students, his belief in the value of quality research. I can't say enough about Jeffrey Wasserman." 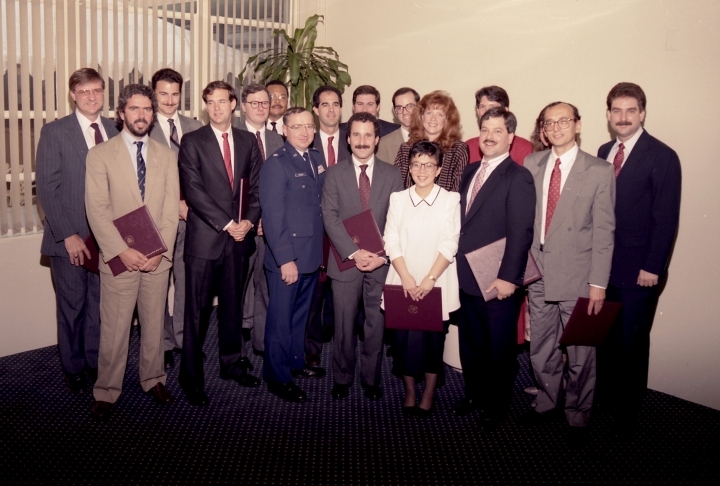 Gery Ryan, who succeeded Jeffrey as assistant dean for academic affairs, added, "Jeffrey always understood what it meant to be a ‘professional’ policy analyst. He hammered that home not only in the foundational "Policy Analysis I" course but in his elective, "Principles of Client-Oriented Policy Analysis," where he oversees students working on local client problems, from local governments to NGOs. He brings on-the-job training to another level in that course. 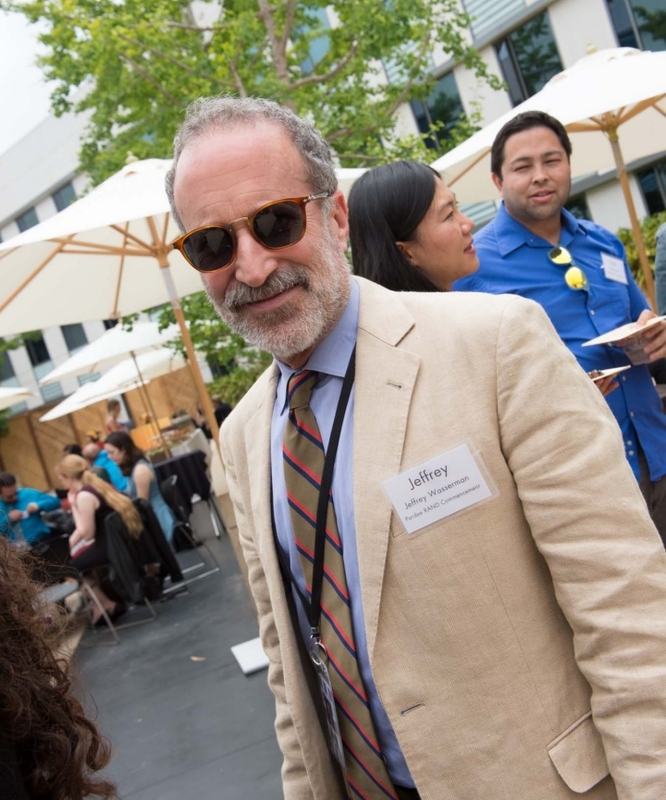 Jeffrey has always been very thoughtful — students are in his office all of the time." Helen Wu was one of those students. She commented, "I was incredibly fortunate to have Jeffrey support my journey at RAND as a Pardee RAND dissertation adviser and OJT mentor. 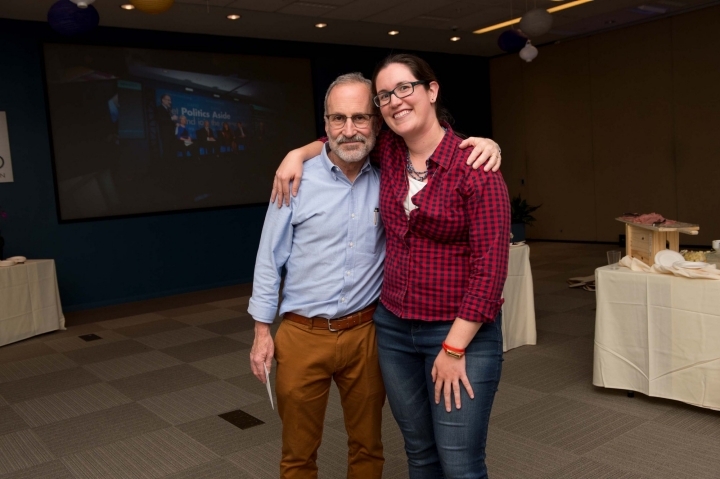 Working with him opened up opportunities to expand my knowledge and skills in areas that I least expected, and I brought what I learned with me and applied it in research that I led in my first post–Pardee RAND position." Jeffrey completed his own dissertation, Excise Taxes, Regulation, and the Demand for Cigarettes, with the support of chair Willard Manning and committee members Joseph Newhouse and John Winkler. 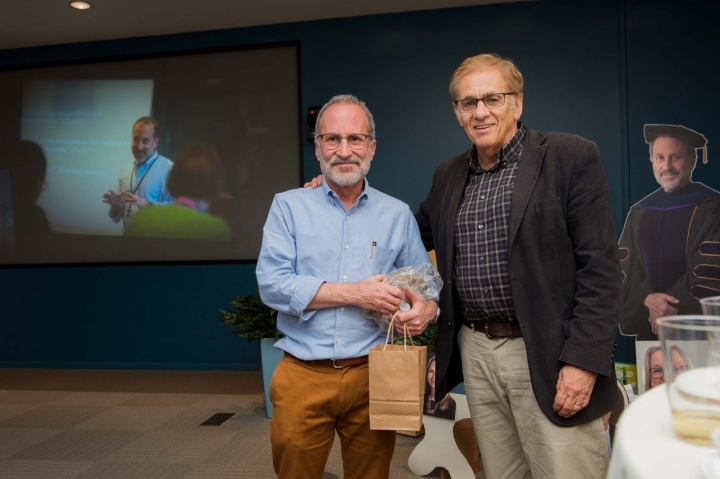 Winkler, who is still at RAND, commented, "I was honored to be asked to serve as a member of Jeffrey’s dissertation committee. His dissertation was extremely well-researched and ... he was generous with credit." 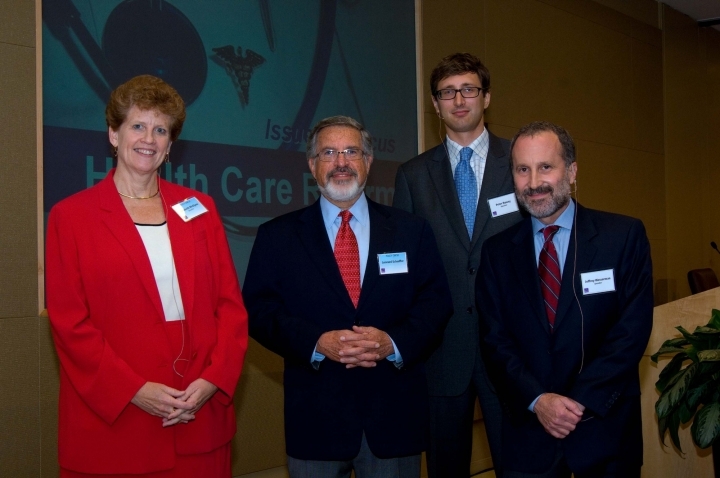 Professor Jeanne Ringel commented on Jeffrey's role as a mentor and manager in RAND Health, which he directed for five years. "Across all of the work we have done together, his staff management skills stand out in my mind as one of his biggest strengths and something that I aspire to," she said at his party. "As a project leader, he has a strong vision, but is open to different ideas and truly values and incorporates the team input. When things are going well he is the first to share credit and highlight the accomplishments of people on the team, but if the project is facing challenges or falling short of expectations in some way, he does not try to place blame, but rather takes responsibility and focuses the team on finding a solution." Wu also noted Jeffrey's generosity as a mentor. "Jeffrey embraced the mentorship challenge by taking me through the process of learning about new concepts theoretically, and then creating OJT opportunities so that I could see how things were done in practice," she added. "It was then up to me to apply these skills as a research leader, and to mentor others in turn. I have done so, and in this way, the mentorship has come full cycle. Thank you, Jeffrey, for your support and dedication to RAND and Pardee RAND."